La Grande Classique de Longines collection represents the original aesthetic tradition of the brand. 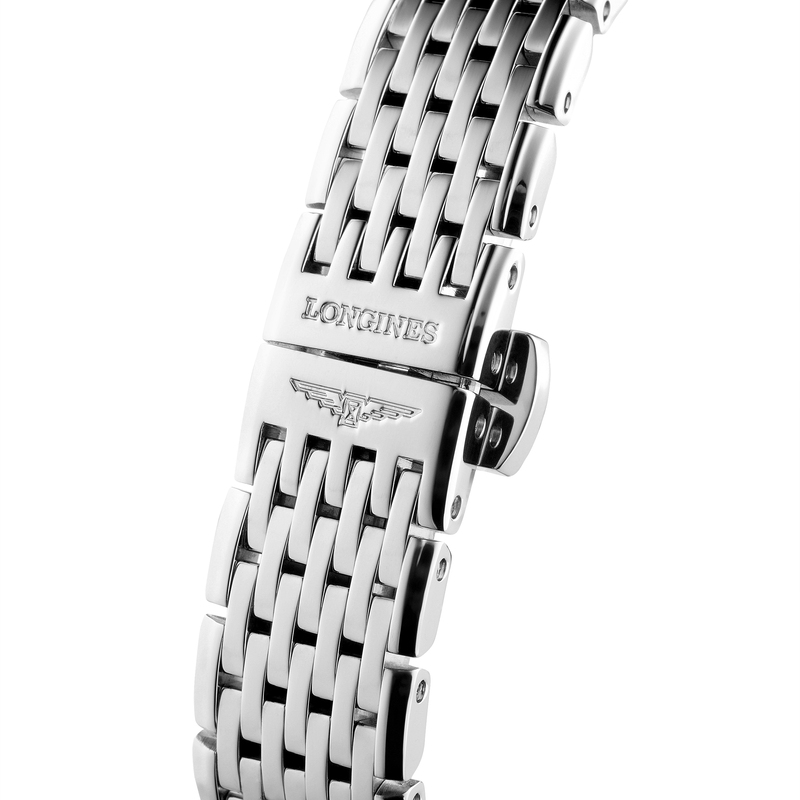 Many of the different elegant features, including the slim case allow this collection a reputation for timeless beauty. 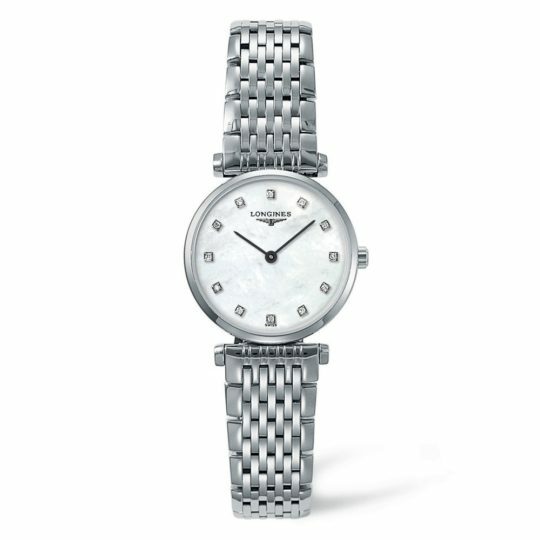 This model features an eye-catching white mother of pearl dial, complimented by 12 diamond indexes and perfectly contrasted with black hour and minute hands. 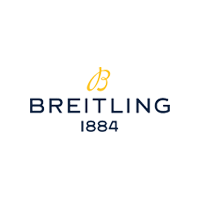 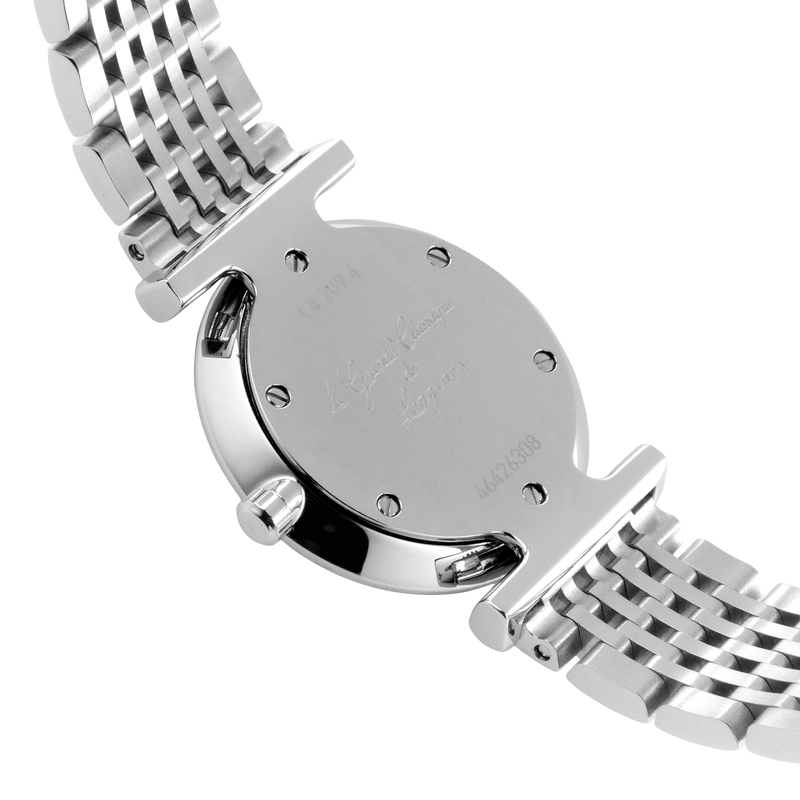 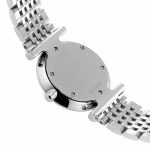 This beautiful watch also features a round stainless steel case and is presented upon a stainless steel strap. This watch is fitted with a Quartz movement. This stunning has all the characteristics of a Longines timepiece. 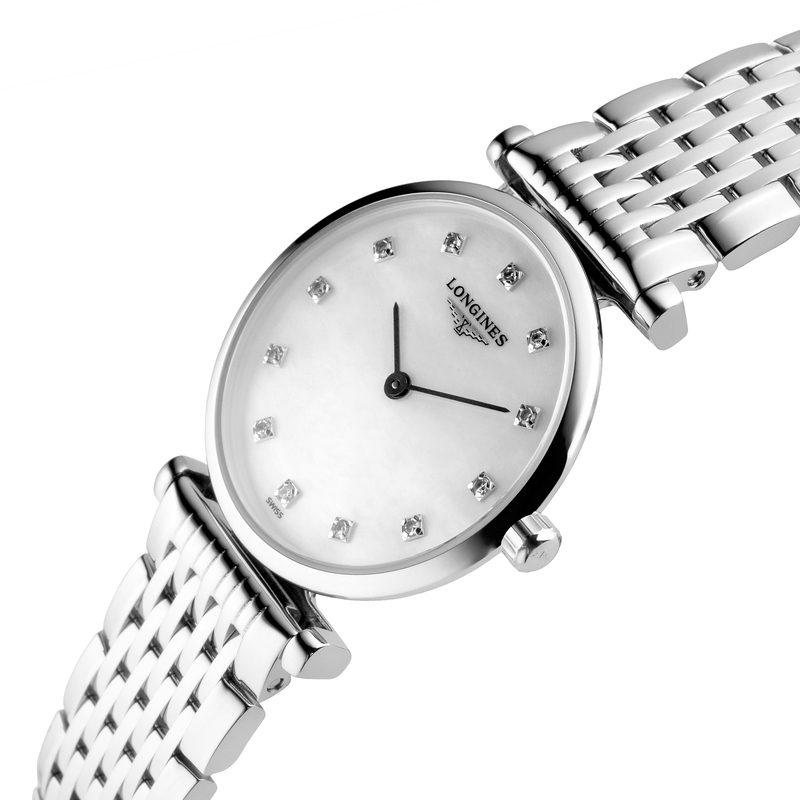 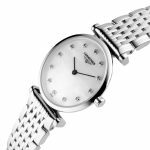 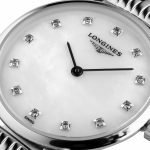 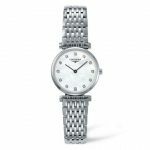 Longines Grande Classique 24mm Stainless Steel Ladies Watch has been successfully added to your shopping bag.